Lightweight and super rugged, the Lyman® carbon fiber AR-15 handguards keep their cool when under fire. Middletown, Conn. (April 2018) – Tacstar®, a leader in tactical accessories and a Lyman brand, is proud to introduce new, highly functional carbon fiber AR-15 handguards with an integrated Picatinny rail. Extremely rugged, carbon fiber offers an unbeatable strength to weight ratio, offering durability and toughness to go along with their light weight and good looks. Unlike handguards made from aluminum or other materials, Tacstar’s carbon fiber handguards stay cool to the touch, even with extensive firing. The fully free-floating octagon handguards are equipped with multiple cooling slots and accessory mounting points. The mounting points will accept any M-LOK® style mounting hardware used with accessories, such as slings, bi-pods, lights or vertical grips. Additionally, the handguards are equipped with a forward mounted Picatinny rail to attach sights. The Tacstar handguard attaches to the rifle using an innovative aluminum mounting sleeve. The sleeve simply clamps over the existing barrel nut. No special tools are required for installation. 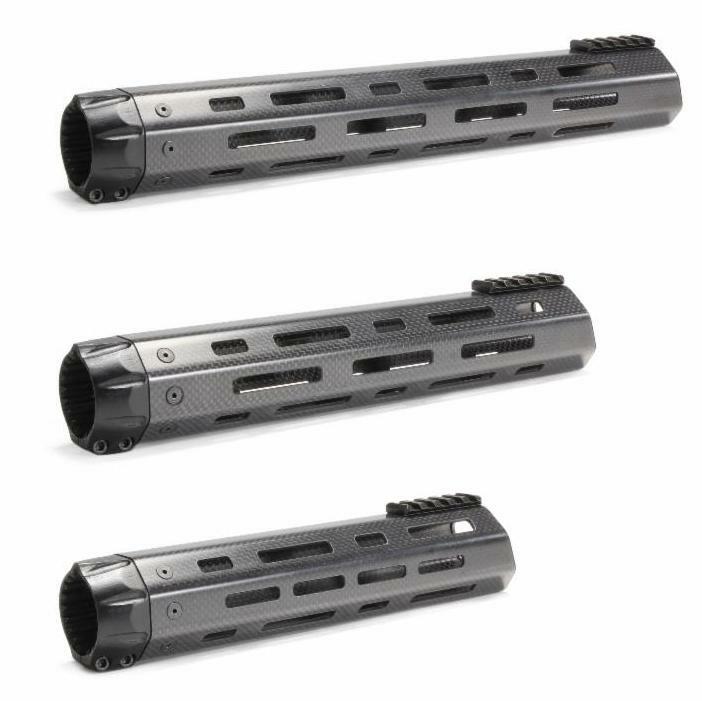 For more information on the Tacstar carbon fiber AR-15 handguards or any of the other fine Lyman accessories or reloading equipment, visit Lyman atwww.lymanproducts.com. This entry was posted in Accessories and tagged AR-15, carbon fiber, Handguards, Lyman Products, Tacstar. Bookmark the permalink.